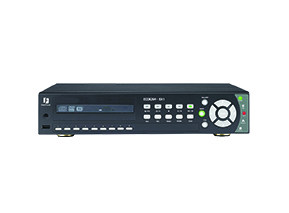 The Everfocus ECOR series DVR is a common DVR that you may have that was installed by BAP. The Everfocus Paragon .DVR operates very similar to this unit. We have linked to various videos from the manufacturer below to help you discover operation and features. You have a choice of archiving the built-in DVD drive(not reccomended) of the DVR if your unit is equipped with one, a USB drive or to a local or remote computer is your unit is connected to a network and has remote viewing enabled.